Crazy Dog Behavior – Why Do Dogs Do What They Do? – Part 1 | ESA Co. Dogs have been a mainstay in human households for a long time now. The love and attention that the dog shows to us is vital to our happiness and well-being. But sometimes we often wonder what is going on through their heads. Of course we cannot ask them and expect a result, nor can we dissect their thoughts to find the answers. Sometimes their behavior is just strange weird. The following is a short list of examining the behavior and trying to get answers to some of the strange actions that dogs do. This is probably one of the most classic examples of a dog doing something incomprehensible to humans. What dog in their right minds would just decide to plop down and start eating grass? The most common answer that people usually think is that dogs eat grass to make themselves throw up. From a human perspective, this does not make any sense. There is not much scientific research that backs this theory and only a small number of dogs throw up from digesting grass. If we sort through the theories, it seems like there is no real reason why dogs eat grass. There is no nutritional benefit to eating the grass. Since dogs fall under the scavenger category, it may be said that they are examining the texture or taste to see if anything nearby is attractive. Just know that grass will not harm your canine, so feel free to let them chomp on some green ever now and then. Often times, we see dogs tilt their heads. There are numerous photos contained in animal calendars that portray dogs with their heads turn. They really are not posing for us or try to make us swoon. If a dog turns its head, it is attempting to reposition its ears. By repositioning their ears, the dog broadens its hearing and begins to pick up noises from different directions. They are also able to zero in on certain audio cue which allows them to hear specific more clearly. A short side note: If we give the dog a treat or a back scratch when it tilts its head, then we teach the dog, through positive reinforcement, that it is acting in good behavior. So then it may be the case that the dog decides that it is just being cute as opposed to having their hearing increase. Human may have a tendency to speak in their sleep. There are many reasons for this, but it is mostly considered harmless and very common. So it really is not strange to think that dogs bark in their sleep. But is there a reason why they do it? 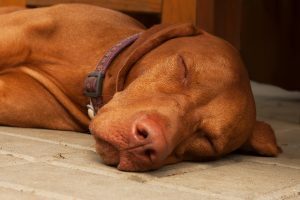 There are studies that have examined the brainwaves of dogs when they are sleeping that have found that they are active. This simply means that dogs are able to dream just like humans do. So if you hear a dog bark during its sleep, it may be reacting to their dream. 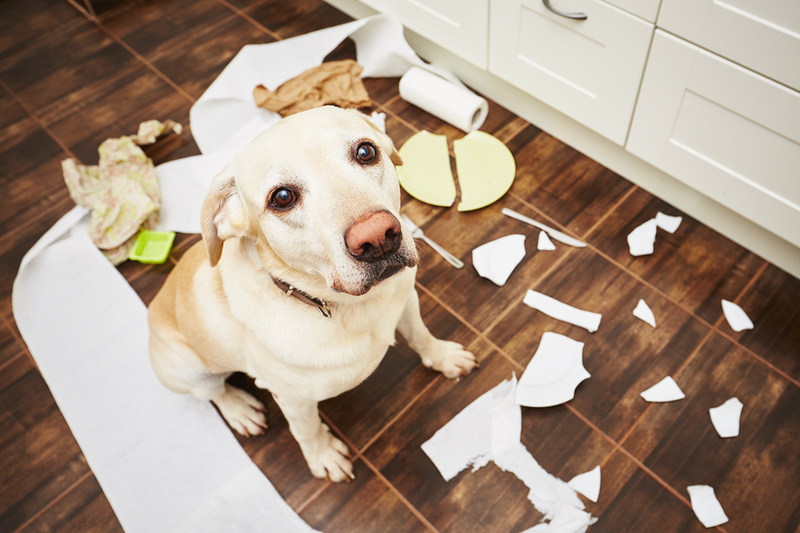 These are just 3 of the behaviors that dogs exhibit that may make a human question them. Some of these behaviors mirror that of humans. There is not any major reason to worry if your dog eats grass, barks during sleep, or tilts their head: it is what makes them dogs.